A shocking clip from the ISS live stream, intended to show a NASA-led spacewalk, in fact revealed “at least two UFOs” heading towards Earth. Stunned viewers were shocked at the rare glimpse of the fast-moving UFOs that appeared to “reflect” the sunlight. Both of the objects were heading towards the Earth, although the one that was closer appeared to be spinning across the sky. Adding to the strange sight is the fact that two astronauts can be seen working on the spacecraft during the live stream. YouTube conspiracy theorist Tyler Glockner – from the secureteam10 channel - noticed the anomalies and posted the footage on Saturday. Glockner surmised that the flashing lights of the objects were caused by the reflection of the sun. The flashes appear dim at first before getting brighter, supporting claims that it was a high-tech UFO. The footage has been seen more than 430,000 times. Another added that it was “amazing NASA didn’t cut the feed” after reports of similar bizarre sightings leading in an abrupt end of the live stream. 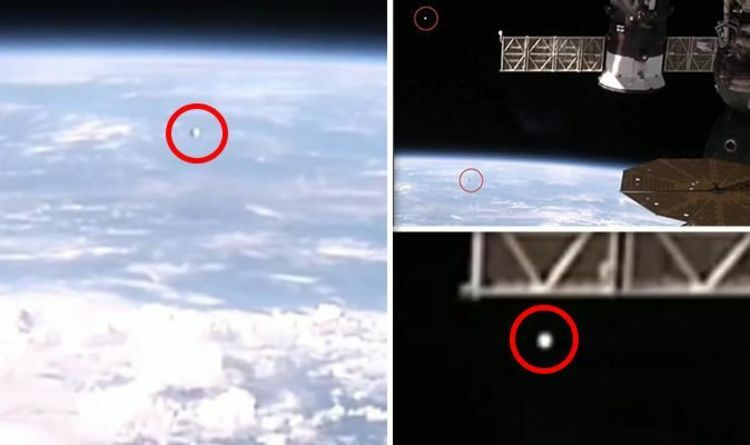 UFO expert Scott C Waring wrote on his blog UFO Sightings Daily: “Two UFOs were recorded on live ISS internet cam buzzing around the station. If you watch the live Internet cam for a few hours, you will see things flying nearby that defy explanation. “NASA always refuses to talk about these objects and instead take a stance to ignore any questions about them." This comes after scientists noticed a bizarre "unprecedented" hole in a Soyuz capsule docked to the ISS. The mysterious 2-millimetre hole was drilled "from the inside," according to Russian cosmonaut Sergei Prokopyev.